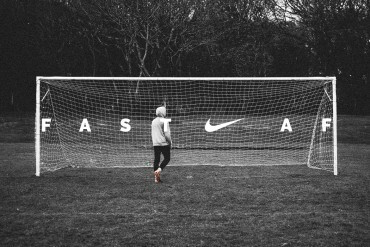 Nike had been making a solid impact in the world of football boots since the early 1990’s, but it was the Mercurial line of Nike football boots that really brought Nike to the forefront of the sports equipment market. 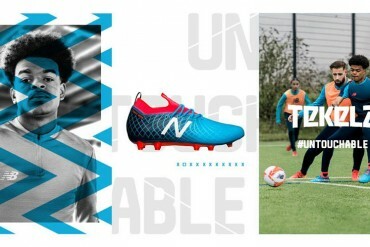 The Mercurial Vapor series of boots has always been about one thing – getting the player to the ball first. 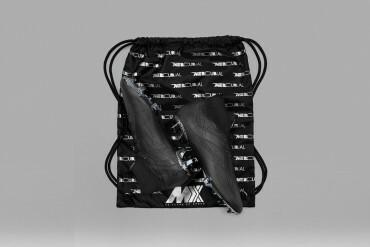 For the most part, this meant making the Mercurial Vapor football boots as light as possible, using a blend of ulta-light synthetic material for the upper, 2 piece outsoles to reduce weight and an ultra-slim fit to reduce excess weight. 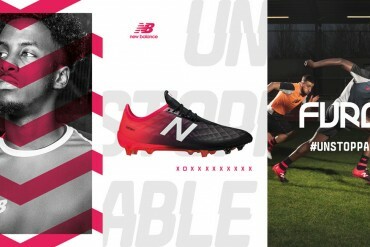 These days Nike’s line of Mercurial Vapor Football Boots have other tricks up their sleeve, such as the NikeSENSE adaptable studs that feature on the Mercurial Vapor Superfly II, which are capable of extending up to 3mm to accommodate different types of ground. 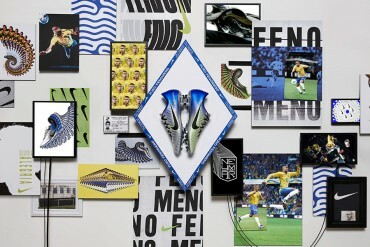 Ronaldo – Brazil’s Ronaldo wore the Mercurial Vapor Line during all his World Cup appearances and his golden era, spanning stints at clubs like Real Madrid, Barcelona, Inter Milan and Paris St Germain. Simply put, Ronaldo’s endorsement made the Mercurial Vapor a Household name. 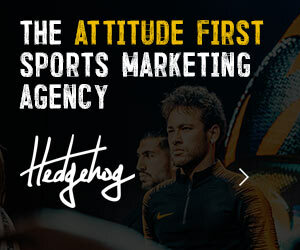 Cristiano Ronaldo – the Mercurial Torch has since been passed and now Cristiano Ronaldo is now considered the posterboy that embodies everything that comes with a Mercurial Vapor football boot. Since debuting the Orange Peel Mercurial Vapor IV, C. Ronaldo has been Nike’s first choice to promote it’s latest Mercurial Vapor. 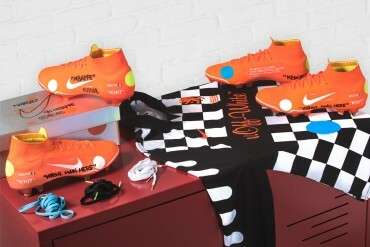 The original Vapors were released in mid-2002, just before the World Cup of that year. 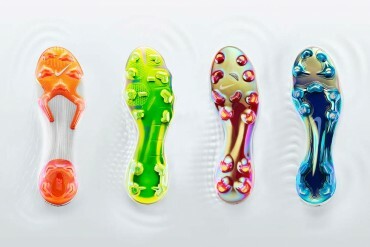 At the time of release, the Vapor was the lightest boot on the market with several key innovations. The upper was made of an extremely thin, lightweight synthetic dubbed Nike Skin. It was claimed to be thinner and stronger than any kangaroo leather. The Vapor also featured an external heel counter (which was very uncommon at that time) as well as a glassfibre filled outsole called NikeFrame, designed to spring back into shape after push-off for optimum energy return. The Mercurial Vapor II was released in January 2004 in two colourways: team red and photo blue. The photo blue boots were debuted by Ronaldo a month earlier, in Real Madrid’s clash with FC Barcelona at the Camp Nou. Whilst Thierry Henry (who has since moved on to Reebok) debuted the red pair in Arsenal’s 5 -1 win over Internazionale in Milan, with Henry scoring two goals. 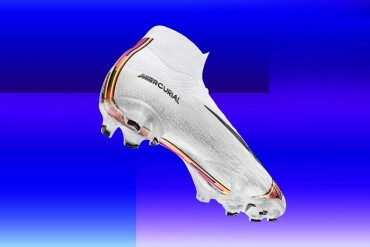 On 13 September 2007, Nike released a limited edition tenth anniversary version of the Mercurial Vapor, featuring “all the modern technology from the current MVIII combined with the original Mercurial Upper design from 1998.” These boots featured in an advert with the Brazilian star Ronaldo, where he reinacted many of his past goals, which he scored wearing the Mercurial Vapor boots. Later in the year, a limited edition version of the Mercurial SL was put up for sale online. Only 2,000 pairs were made available, costing 250 each. This version of the boot is made almost entirely out of carbon fibre and weighs a mere 190 grams (6.7 oz). 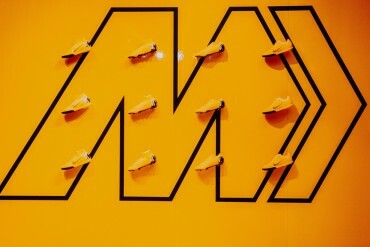 The shoe is made in one colour, black, with two pink “swooshes” on each boot. The retail version cost 189.99 and at launch (in February 2008) was only available in Orange Peel/Dark Obsidian. 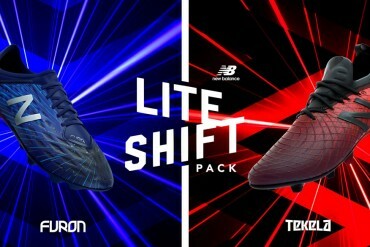 The soleplate was made of carbon fibre, while the upper is made of NikeSkin, a form of Teijin, bringing the weight of the boots to approximately 210g. 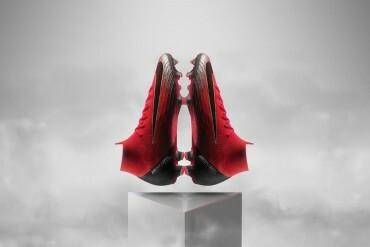 At the same time, Nike released information on the Mercurial Vapor IV boots. Aesthetically, they look the same as the Mercurial Vapor SLs, the only difference being that the soles are not made of carbon fibre but of a glass fibre composite, increasing the weight to about 230g. The Mercurial Vapor IVs were released on 1 February 2008, at a price of 119.99. The carbon fibre Mercurial SL boots were used in a professional match for the first time in the 2008 UEFA Champions League Final between Manchester United and Chelsea, when they were worn by Cristiano Ronaldo. Didier Drogba was also expected to wear them, but instead wore the black Mercurial Vapor IVs. On 24 November 2008, Nike released an eighth, limited edition pink colourway called Nike Mercurial Vapor Berry. 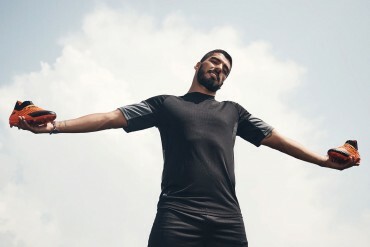 These were then backed up with a video from Nike, which stated “You better be quick,” and featured players such as James Milner, Theo Walcott, Carlos Vela, Marlon Harewood, and Cesc fabregas. Nicklas Bendtner debuted the boots when Arsenal faced Manchester City at the City of Manchester Stadium on 22 November 2008. The Nike Mercurial Vapor Superfly & Vapor V were the fifth incarnation of the Nike Mercurial line and the first of the Superfly line. The Mercurial Vapor Superfly marked the first time a boot was made using Nike Flywire technology, which allowed the upper of the boot to be even lighter and stronger. The boot was launched by Cristiano Ronaldo at Old Trafford in Manchester on 26th of February 2009. 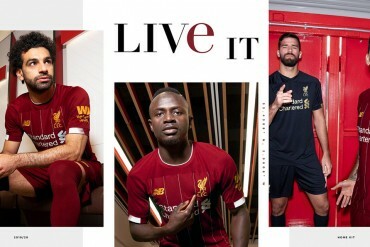 It was debuted during the 2008-09 UEFA Champions League knockout stage a match between Manchester United and Internazionale by Cristiano Ronaldo and Zlatan Ibrahimovi. The following weekend, players across the world also debuted the boots (notably Robinho, Theo Walcott, Alexandre Pato and Dani Alves). 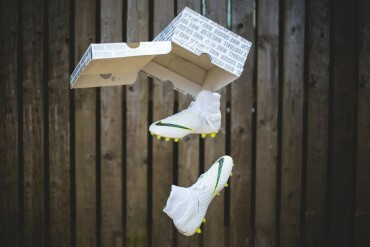 The Superfly was scheduled for an early summertime release after it’s debut in February 2009, but after Footy-Boots.com highlighted 3 separate incidents in which the Superfly had ripped during a game, Nike were forced to recall the boot and make some changes to the integrity of the upper, forcing the public release of the boot into August 2009. The second release of the Superfly series was released on 24 February 2010. 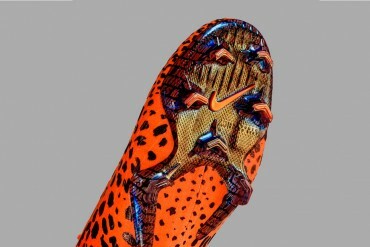 These technologically advanced cleats featured two NikeSENSE studs on the forefoot of each boot. These studs can extend up to 3mm depending on the softness of the ground to give players extra grip when making quick turns and off-the-toe sprints. Fulham winger Clint Dempsey debuted the boots and scored in them on the 18th of March 2010 against Juventus in the UEFA Europa League at Craven Cottage. Both the Superfly II and the Vapor VI were made available for pre-order on 22nd of March, and were released on 1 April 2010. 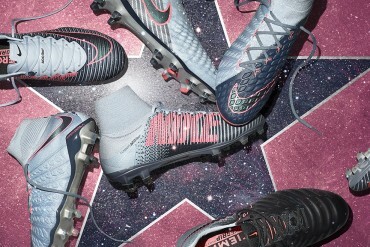 Spanning for more than 15 years, the Mercurial line remains a huge player in the football world. Now at the Vapor XI and the Superfly V, lead players consist of Eden Hazard and Ronaldo respectively. Going through 5 different Superfly models, and almost a dozen Vapors, Nike has really brought some game changing technology to these boots. The Vapor XI still offers a very thin one-piece synthetic on a very responsive soleplate. As the Superfly now comes in a midcut design with a knitted upper and brio-cables instead of FlyWire. 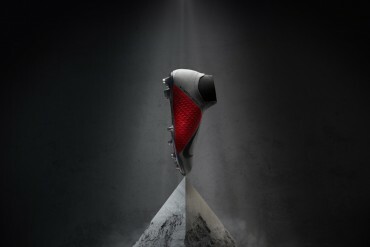 This silo will continue to lead the football boot world for some time. One year and one model at a time.